We’d love your help. 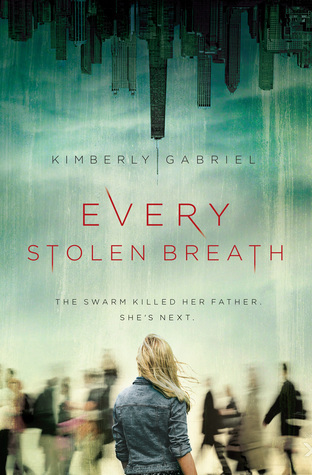 Let us know what’s wrong with this preview of Every Stolen Breath by Kimberly Gabriel. Lia is the only one still pursuing her father’s killers, two years after attorney Steven Fin The Swarm is unrecognizable, untraceable, and unpredictable—random attacks on the streets of Chicago by a mob of crazed teens that leaves death in its wake. It’s been two years since the last attack, but Lia Finch has found clues that reveal the Swarm is ready to claim a new victim. Lia is the only one still pursuing her father’s killers, two years after attorney Steven Finch’s murder by the Swarm. Devastated and desperate for answers, Lia will do anything to uncover the reasons behind his death and to stop someone else from being struck down. But due to debilitating asthma and PTSD that leaves her with a tenuous hold on reality, Lia is the last person to mount a crusade on her own. To ask other readers questions about Every Stolen Breath, please sign up. This premise sounds outstanding. Can't wait to read it. Camryn Love it! Great plot. Finishes it in 2 days! Kimberly Gabriel is an English teacher who writes every chance she gets and struggles with laundry avoidance issues. When she’s not teaching or writing, she’s enjoying life with her husband, her three beautiful children, and a seriously beautiful boxer in the northern suburbs of Chicago.